Dr. Iram Khan has obtained her M.B.B.S from Fatima Jinnah Medical University in year 2001. She has more than 7 years’ experience as General practitioner in Pakistan. Major areas of interest are internal medicine, Endocrinology and Dermatology. 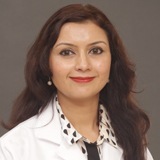 Dr. Iram can converse with her patients in English, Hindi, Urdu, Punjabi and Arabic.